John le Carré's fiction is marked by a key contrast between his methodical plotting and the sweaty desperation of his characters. The spies that populate his novels are often middle-managers trying to achieve a small victory in a conflict in which they no longer believe, and who sacrifice their chance to be a whole person in the pursuit of a greater good. They live only half a life by agreeing to look through the windows of people living their own. One of the reasons that Martin Ritt's The Spy Who Came in from the Cold remains the definitive feature film adaptation of le Carré's work is that it manages to create an air of tragic inevitability, a sense that there are forces at work that will crush the characters no matter what they do, while also imbuing its characters with a faint yet potent belief that maybe they'll be the ones to escape a situation that has already claimed so many lives. Anton Corbijn's A Most Wanted Man, an adaptation of le Carré's 2008 novel of the same name, certainly has that sense of impending, inevitable doom to it, though its characters all too often feel too cool considering their circumstances. When a Chechen national named Issa Karpov (Grigoriy Dobrygin) illegally arrives in Hamburg, a counter-terrorism unit headed by Günther Bachmann (Philip Seymour Hoffman) starts to observe him. Karpov is a Muslim who has been connected to radical jihadist groups in Chechnya, and Bachmann's rivals within the German intelligence community believe that he has entered the country in order to make contact with other terrorist organisations. Bachmann is not convinced, though, since he suspects that Karpov was tortured by the Russians and forced to admit to associations that he might not actually have. As Karpov seeks help from a human rights lawyer (Rachel McAdams) and a banker with ties to his family's past (Willem Dafoe), Bachmann has to balance the demands of his superiors, and try to figure out what the intentions of a C.I.A. agent (Robin Wright) are with regards to his operation. Corbijn, an acclaimed photographer who made the leap to features with the beautifully composed, emotionally distant likes of Control and The American, takes to le Carré's world of moral ambiguity like a duck to something that may or may not be water. From its first moment, in which text establishes that the 9/11 attacks were planned in Hamburg and that the city has been under heightened scrutiny ever since, a mist of paranoia and danger descends over the film. There is no ticking clock in A Most Wanted Man, no specific crisis that Bachmann and his team have to swoop in and stop like Teutonic Jack Bauers, just a general sense that something awful could happen, and that solving the mystery of whether or not Issa Karpov intends to cause harm might prevent that unknown event from happening. Aside from being a meticulously constructed thriller, A Most Wanted Man is a microcosm of a broader conflict, in this instance the philosophical one between Bachmann's methodical, investigative approach to terrorism, and the C.I.A. 's use of extraordinary rendition and torture. Though we're a few years removed from the height of that practice, the film still works, both as a snapshot of a very dark period of recent history, and as a broader analogy for the wrong-headedness of the War on Terror. Bachmann's belief that the best approach is to place pressure on people with connections to terrorism and leveraging them to get the people further up the chain of command - using a minnow to catch a barracuda, to use Bachmann's phrase - stands in contrast to the absolutist approach favoured by almost everyone he works with, and it can be just as easily applied to the broader questions about American foreign policy as it can the specific world of the intelligence community. Günther Bachmann is an archetypal le Carré figure; a rumpled, hard-drinking spymaster fighting a war that he has hardly any impact on, and who is determined to wage that war in the most honourable way available to him. Yet 'honourable' in this context is an exceptionally slippery term, since Bachmann's approach still involves grabbing civilians off the street and holding them prisoner until they agree to help. He is the lesser of a dozen evils - he refuses to torture or use violence, even though he is prepared to destroy peoples' lives in less tangible ways, if necessary - but that doesn't mean that he isn't evil to some extent. 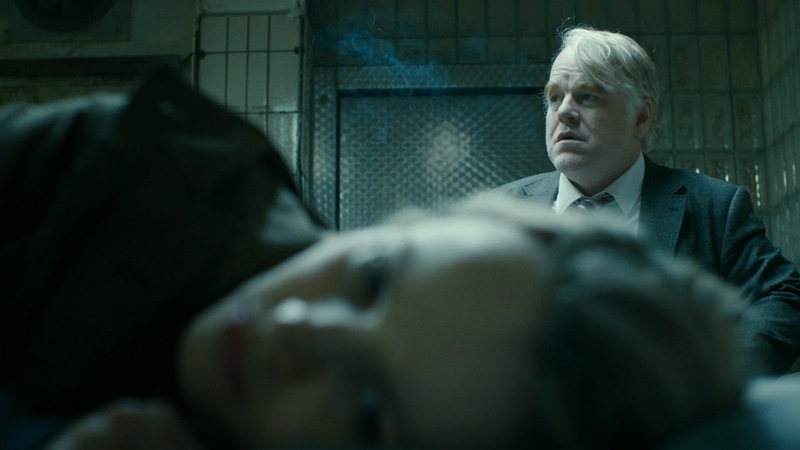 Few actors could embody that mix of ferociousness and world-weariness as well as Philip Seymour Hoffman does. He provides the tortured heart and messy humanity that is otherwise missing from Corbijn's muted compositions and the story's intricate plotting. The greatest compliment that can be paid to his work is that he is so good that the uncomfortable parallels between his recent death and the nature of his character, not least of which being their shared substance abuse and obsessiveness, recede into the background as the quality of his performance overpowers them. It's hard not to feel a keen sadness at his passing, both because his work in A Most Wanted Man is dark and intense and because it's so damn good, but whatever demons he was battling at the time cannot overshadow the phenomenal talent that he possessed. Andrew Bovell's screenplay never lets the numerous plot strands get lost or muddled, and he brings them together for a nail-biting climax that serves as a master class in how to wring tension from waiting for the other shoe to drop. Most spy films build towards a moment when everything goes wrong. No matter how smart or careful the agents are, they ultimately will be undone by one overlooked detail or moment of human error. A Most Wanted Man knows this, and the entire last act of the film is structured to best illustrate how many things have to go exactly right for Bachmann's team to succeed. They need to mollify their colleagues who don't believe in a slow, methodical response to terrorism. They need civilians that they are working with to lie convincingly. They need their targets to fall for the carefully laid trap they have set. It's nerve wracking seeing this house of cards being constructed, all the while knowing intuitively how fragile the equilibrium is. Without showing his hand, Corbijn slowly establishes every small detail that has to be accounted for, then wrings every molecule of suspense out of letting the scenario play out, making it seem that this carefully orchestrated operation could fall apart at almost any moment. That slow burn can make long stretches of A Most Wanted Man feel plodding or aimless, particularly as details are gone over again and again, but the way all the threads dovetail in the final moments delivers a devastating gut-punch that reveals the skill needed to make something so considered and intricate appear chaotic. It's only fitting that a story about secrecy and maintaining a surface calm should only reveal its true nature at the last possible moment.